How tax debt is handled in an Elk Grove bankruptcy depends on several factors. Despite your preconceived notions, it is possible to eliminate tax debt with bankruptcy. When tax debt cannot be deleted using bankruptcy another option is to have the tax debt repayment spread over a period of up to five years. Whether you plan on filing a Chapter 7 or Chapter 13 Elk Grove bankruptcy, here is what to expect in settling your delinquent taxes. When filing for Chapter 13 bankruptcy, tax debt falls into either priority or non-priority taxes. Priority taxes include sales taxes, employment taxes, excise taxes, customs duties, tax penalties, erroneous tax refunds or credits, and trust fund taxes including income taxes, FICA, and Medicare withheld from employees. Alternatively, non-priority taxes include taxes on income or gross receipts and income taxes due three years or more before filing bankruptcy. Additionally, you must have filed a tax return at least two years prior, and the tax must be assessed against you 240 day or more before your bankruptcy filing. For a full list of criteria contact a local debt relief attorney to assist you in determining your tax obligations. Elimination or discharge of priority tax debt is not a possibility in Chapter 13 bankruptcy. However, when you file Chapter 13 bankruptcy, you will be able to spread this debt across the entire span of your Chapter 13 repayment plan. Priority taxes must be paid back in full over this period to receive a discharge of non-priority debts. Depending on your income you may only be required to pay back a portion of your non-priority taxes, with the remainder being dischargeable at the conclusion of your Chapter 13 bankruptcy case. As with most debts, tax debt is handled differently in a Chapter 7 bankruptcy versus a Chapter 13 bankruptcy. Tax debt is dischargeable in Chapter 7 bankruptcy as long as it falls into the previously mentioned criteria for non-priority debt. 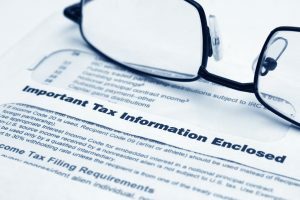 For taxes to be discharged in Chapter 7 bankruptcy, they must be income-based and must derive from a tax return at least three years before bankruptcy. Bankruptcy attorneys in Elk Grove are standing by to assist you with your debt issues, no matter if it derives from unpaid taxes or consumer debt. Bankruptcy is a legal status for individuals who are unable to repay their debts. Bankruptcy options are afforded to everyone who can prove their insolvency. Contact a bankruptcy lawyer if you are ready to take control of your financial destiny and legally eliminate debt.